I was skimming through my Instagram yesterday and came across a picture. It’s a picture about a project held by Unicef. 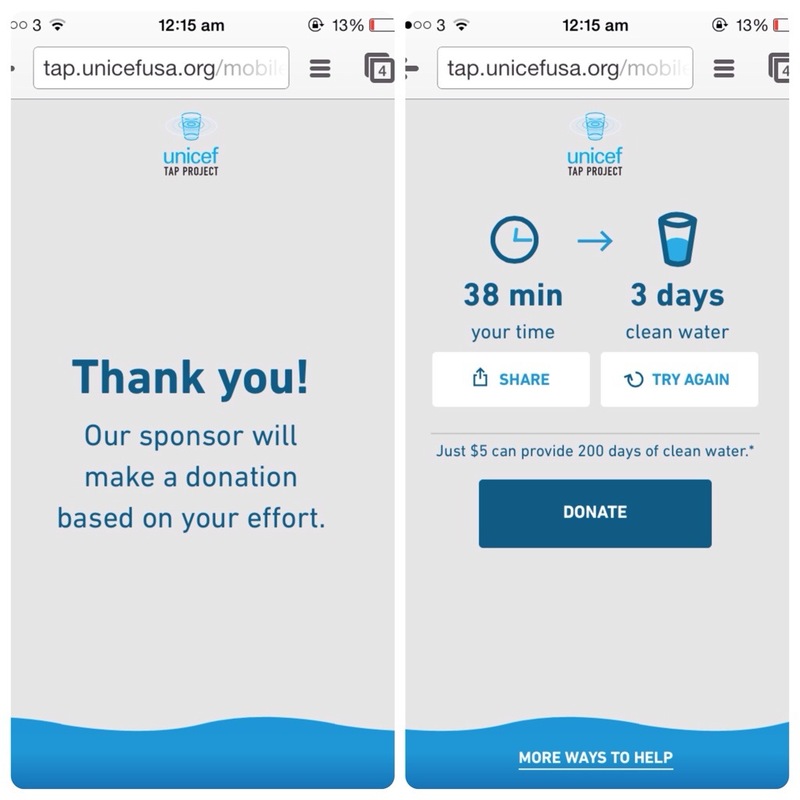 This project is about bringing clean tap water to the undeveloped countries. What we need to do is just load the page in our browser and keep your phone away from you. 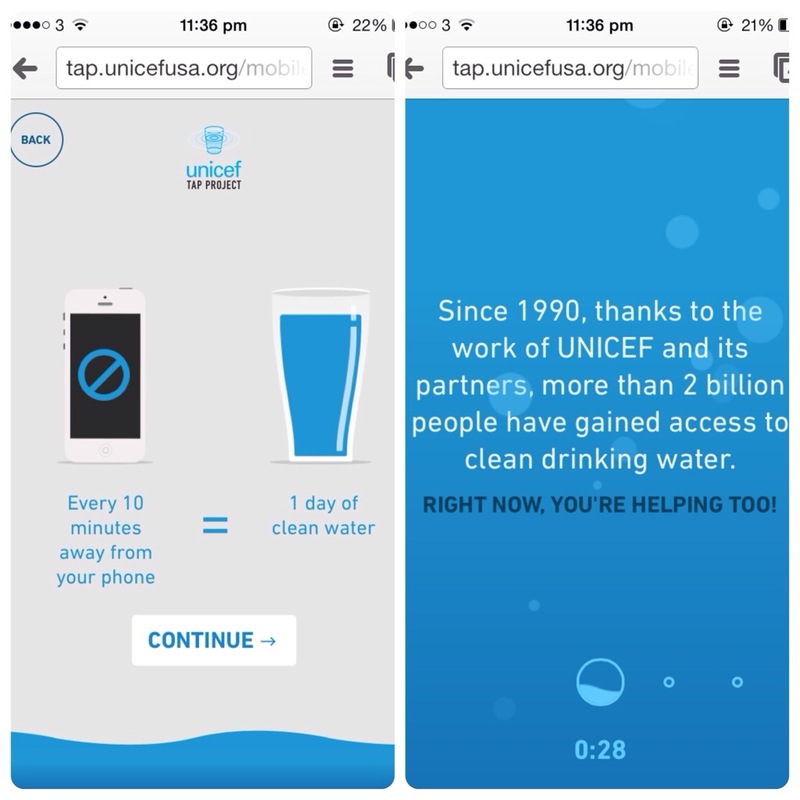 The time you stop using your phone = provide 1 day of clean tap water for 1 child. So why not start helping others out? Save your batteries, help your eyes and help the children.